The growing number of third-party meal delivery services like GrubHub, DoorDash, UberRUSH, and Postmates, while easy, inexpensive, and convenient, are creating a new and different phenomenon, and it’s not always good. 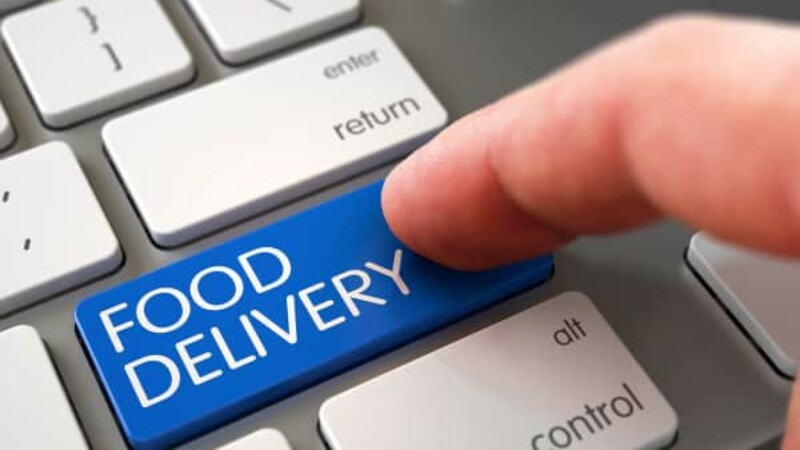 If you’re a restaurant that delivers, it’s likely you’ve considered using a third-party delivery service, or have already implemented one (or more) of them. A growing number of restaurants are using them and the industry is booming. But do you always know what happens once that great food you made leaves your four walls? Do you know how these third-party drivers are representing your business? Realize it or not, the customer is essentially theirs and no longer yours. Let’s look at this more closely. eventually left without the order, posted his negative Yelp review and went on to his next stop, leaving the restaurant to deal with an unhappy guest waiting even longer for their delivery. This is a new problem. Drivers for third-party delivery services have no business writing reviews for the restaurants they deliver for. It’s simply inappropriate. Sometimes it’s easy to spot: they’ll mention in the review they’re a driver. Other times, we’ll get a heads-up from the restaurant about who the review is from because they’ll remember the situation. 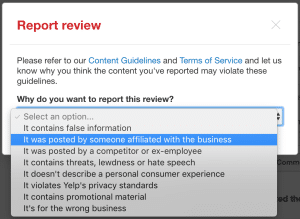 The solution, in any case, is to report the review on Yelp and select “It was posted by someone affiliated with the business.” Chances are, Yelp will side with the restaurant and take it down as a violation of the Yelp terms of service. Then, make sure to follow up with the delivery service to report the driver’s behavior. Remember, in this case, the order hasn’t even left the building yet and already there’s a big problem that you have to fix. Keep in mind, the vast majority of drivers are professional and courteous. But at the end of the day, they aren’t nearly as interested in the well-being of your brand as you are. We’ve heard multiple stories of drivers arriving at the delivery destination and call or text the customer and ask them to come to the car to get it, rather than bringing the order right to the door. “He said it was raining, and didn’t want to get out of the car,” one third-party user told us. Sorry, driver, that’s part of your job. While many customers will understand that it’s the third-party’s faux pas, it can still leave a bad taste in their mouth… pun intended. Another time, a driver did come to the door, but had a buddy with him and were laughing and joking around loudly outside the customer’s house. That’s a big no-no and goes against most of these third-party services’ driver agreements. And one report we received was that a pizza was delivered -no joke- with two slices missing. Really? Yeah, we’re pretty sure that pizza was whole when it left the restaurant. Drivers want to make as much money in as short a period of time as they can. I get it. But sometimes that means they’ll be driving for at least two different services at once (this is also against most driver agreements,) which means the likelihood is high that they’ll be picking up an order after yours… which means your customer is potentially receiving late and cold fettuccini Alfredo, which means your reputation suffers and you risk a negative review. Follow up with the third-party service immediately any time there is a problem, whether it’s in-store or once the food has been delivered. They should compensate you. Bad Yelp review from the driver? Report it and try to have it removed. Then tell the service what happened. Bad Yelp review from the customer regarding delivery? Report it and try to make your case that it’s really for the delivery service and not your restaurant. It may get removed. Then tell the service what happened. 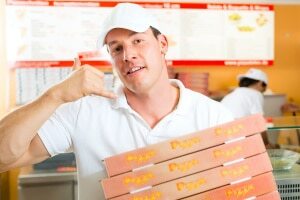 Check out this list of the top-rated delivery services. Keep in mind some use their own chefs and food so they won’t apply to you. Third-party services aren’t a good fit for everyone. Consider using your own drivers that will “own” your brand and put a better face on it. And, bonus: you get to use your own signage on their cars. We want to hear from you! Let us know in the comments how your experience with third-party delivery services has been.